Nicholas is a barrister and has specialised in financial remedy work for over 20 years. 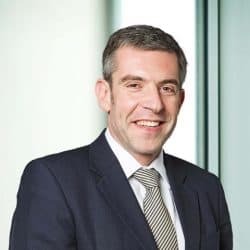 He was appointed Queen’s Counsel in 2018. He is well known for his eye for detail, his knowledge of matrimonial finance law, and for his client care skills. Nicholas was previously listed as a leading junior barrister in both Chambers & Partners (where he was in the ‘Band 1’ tier) and Legal 500 directories. Nicholas qualified as an arbitrator in 2016. He has to date been appointed as arbitrator in twelve cases and has written eight awards (three settled and one is ongoing). He has undertaken arbitrations on paper and also by way of conventional hearings both at his chambers in London and elsewhere. He is happy to for the parties to take part via video-link or by Skype if this is more convenient. Nicholas was appointed as a Recorder in December 2015. As a judge, he hears both financial remedy and children cases (both public and private law) in London and on the South Eastern Circuit. Nicholas is often instructed to conduct Private FDR Appointments and also to prepare early neutral evaluations. He has been a trained collaborative lawyer since 2009. Nicholas is a regular lecturer including to the Judicial College. He has recently lectured on the arbitration process – “What are the practical and legal implications of arbitration in family cases?”. 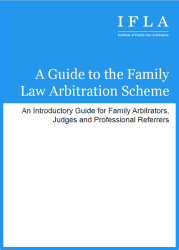 He contributed to Resolution’s ‘Guide to Good Practice for Family Lawyers on Working with the Bar in Family Cases’ (2018 revision). 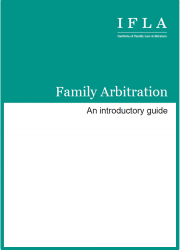 He has also written for Family Law and co-authored the Family Law Bar Association’s ‘Good Practice’ guidance for FDR Appointments much of which was later included in similar guidance published by both Resolution and by the Family Justice Council in 2012. For further details about Nicholas’ practice as a barrister please see http://www.29br.co.uk/profile/nicholas-allen or speak to his Senior Clerk, James Shortall, on 020 7404 1044.